Abortion devotees are very good at changing the subject. The problem is that we on the pro-life side almost always let them get away with it. I watched this play out yet again yesterday when news came down that Texas defunded Planned Parenthood in the state. Naturally, Planned Parenthood fans went berserk, flailing their arms and crying about all of the “services” Planned Parenthood provides other than abortion. Even some self-professed pro-lifers often argue that Planned Parenthood ought to be funded based on the “other stuff” it does. Abortion is just three percent of their business, they claim. 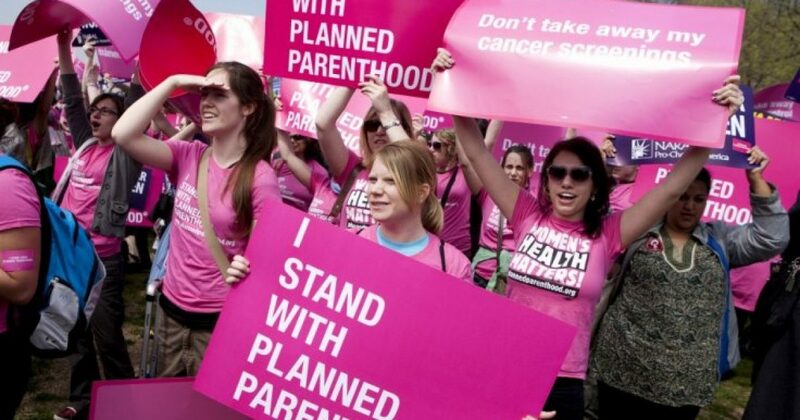 Planned Parenthood gives out birth control and birth control prevents abortion, they say. And so on. This is where pro-lifers drop the ball. We respond to these arguments by trying to explain how abortion is actually more than three percent of their business, and how Planned Parenthood actually doesn’t offer mammograms, and how birth control actually doesn’t prevent abortion, but what we should be saying is this: it doesn’t matter. Planned Parenthood should be defunded and ultimately destroyed because it murders human beings. Period. That’s all. That’s it. That’s the whole argument. What percentage of their business is murder? Doesn’t matter. What else do they do besides murder? Doesn’t matter. Have many women gone their for cancer screenings and STD tests and other important things? Doesn’t matter. Doesn’t matter. Doesn’t matter. Look, if ANY OTHER COMPANY IN THE WORLD purposefully, as a policy, murdered people — even just a few people a year — everyone would agree that the company should be dismantled and burned to the ground. There would be no conversation at all about the “other stuff.” Just like nobody talks about the “other stuff” Hitler did. Planned Parenthood kills humans. I don’t care if they also do cancer screenings. I don’t care if they give out birth control. I don’t care about the percentages or the figures or the pie charts.